Are you ready to pitch your business idea in 1 minute? 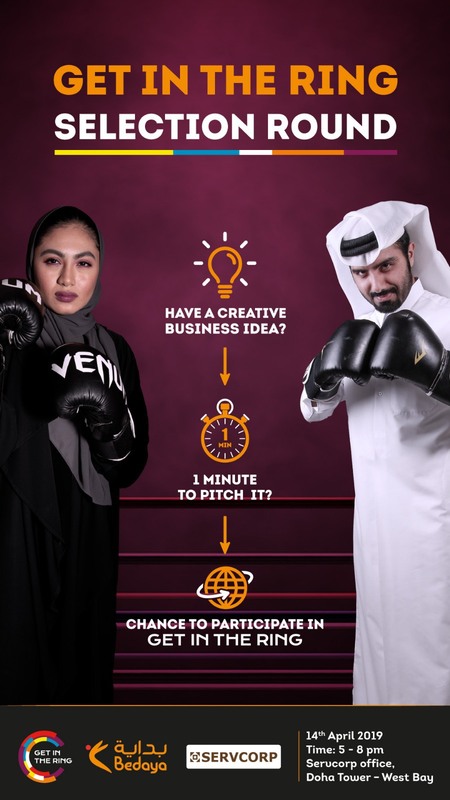 Join us in Get in the Ring Challenge for a chance to participate in the Doha edition of Get in the Ring. The event will focus on introducing Get in the Ring competition to attendees, participants will get a chance to pitch their exciting startup or business idea in 1 minute in front of a panel of judge, the best pitches will be selected for a chance to participate in the local edition of Get in the Ring competition. The event will also include networking activities that focuses on customer validation.